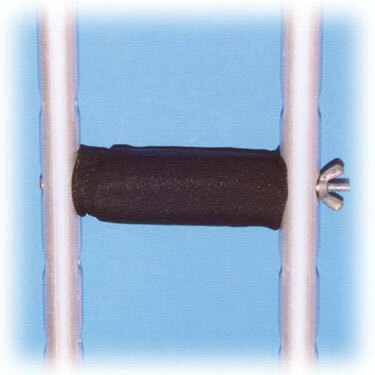 Unique crutch replacement handgrip pads made from a high glycerine gel designed to prevent hard spots. Pads will help prevent friction, reduce chance of skin breakdown and provide long lasting comfort. Will not disintegrate. Waterproof. Good feeling grips, even better customer service! These grips arrived fairly quickly and they feel great, with in a couple of days I noticed one had gotten a little lumpy, contacted customer service and they immediately corrected the problem, and now I am not only happy to have eliminated the skin burns of the factory grips, but I am also happy knowing if I have an issue it will be promptly handled by a customer service Dept that so far seems to take your comfort in trying times serious! I maked this item as very good, but consider the customer service as excellent, Kudos!